One-Yard Wonders… take two! | Sew Lindsay, Sew! You all know how much I adore the One-Yard Wonders book I picked up last year. It’s where I discovered one of my favorite patterns in the world – the adorable and convenient jewelry roll. So of course, I was elated to discover that there was a SECOND One-Yard Wonders book released in November! My mom picked it up from the library while I am home in Chicago this week. After leafing through it just once, I already know that I want it for my birthday in February. I won’t let myself pour over the book in detail until it’s officially mine! This version is arranged in sections by fabric type versus project type. 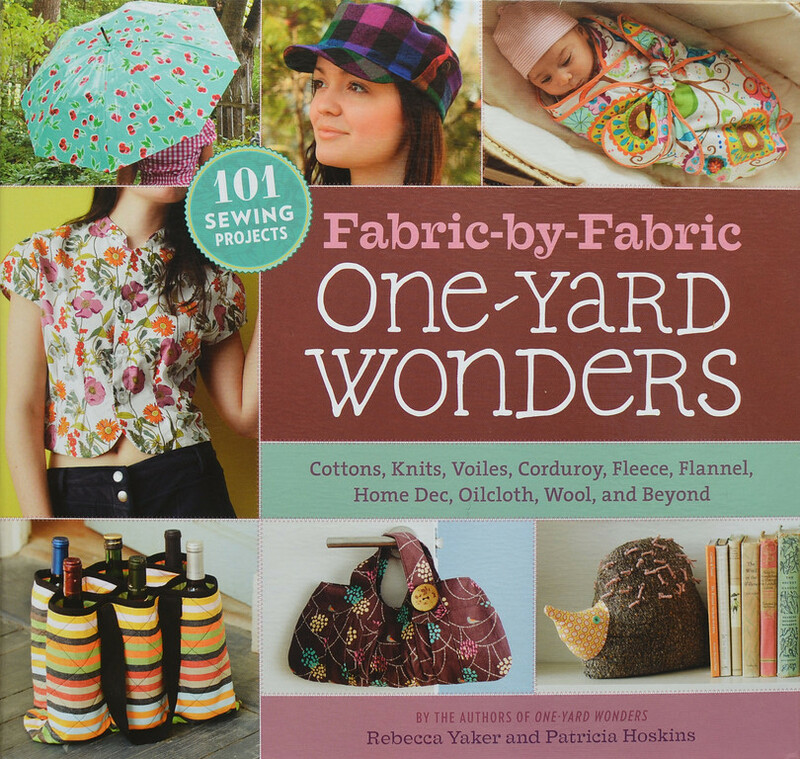 I think that’s pretty neat – now when I have a yard of fabric laying around with no specific sewing intentions, I can turn to that fabric type section in the book and look at all of my options. There were a few patterns in the first book that deterred me when I had a piece of lightweight cotton to use and then was disappointed to discovered that home decor weight was required. Is anyone else out there as excited about this book as I am? Pingback: Countdown to (sewing) fun! « Sew Lindsay, Sew! Pingback: I made a hat | Sew Lindsay, Sew!